Sidhbali Baba Temple - Kanvashram - Santoshi Mata Temple - Durga Devi Temple - 10 km jungle safri. Sidhbali Temple is situated at Kotdwar town of Garhwal distirct of Uttarakhand, which is just 230 km. from Delhi and 76 km. from Haridwar. Kotdwar, the biggest business center and the only railway terminus of the district, enroute the all items for the necessities of the hill region of the district. Kotdwar is only plain town of this mountainous district having most of the industrial potential. Situated at the bank of river ‘Khoh’ in the ‘Bhabar’ region of Himalyan foothills, its altitude is 650 meters from sea level. It is one of the hottest places in the district. Area of the city is about 2.59 sq. km. Total population as per 1991 census is 21,378 with 11,425 male populations and 9,953 female population. The nearest airport is Jollygrant, a place near to Deharadun at a distance of 115 km. via Haridwar. 14 Km from Kotdwar, Rishi Kanva Ashram, isit Ashram, Trek to Sahastradhara, Walk to Malini barrage. Kanvashram, 14 km from Kotdwar, is an important destination from historical and archaeological point of view. As the legend goes, it is believed that sage Vishwamitra meditated at this place. Fearing Vishwamitra’s intense meditation, Indra, the king of sub-Gods sent a charming heavenly damsel Menka to distract him. Gangotri is a small town situated on the bank of bhagirathi river & is about 100 km away from Uttarkashi on way pilgrims take bath in the hotwater spring of Gangnani which is on way about 40 km. From Uttarkashi procced to Gangotri vai Lanka Bhairav Ghati. It is believed king Ansuman & his grand son Bhagirath abserved hard penance at Gangotri & appeased lord Shnaker to bring Gangaji on the earth & freed there sixty thousand ancesters. The stone on which kings "Bhagirath Silla". It is believed that by having a dip in pious Gangaji all the sins are cleared. From here returning to Uttarkashi in the evening for a night stay. Durga Devi Temple Is A Sacred Shrine That Is Largely Worshipped In Kotdwara. Goddess Durga Is The Residing Deity Here. Devotees Come Here In Large Number And It Is Believed That Goddess Durga Fulfills All The Wishes Of The Devotees. Pilgrims Tie Red-Chunri That Is Explicitly Dedicated To The Goddess. Besides, A Small Cave Is Also Located Near The Shivling And The Main Temple. The Area Around The Temple Is Also Known As The Best Picnic Spot In Kotdwar. The Astounding View From The Temple Is Simply Heart-Captivating And Tourists Find Divine Peace On The River Bank That Flows Nearby. Numerous Waterfalls And Hill Forests Makes The Place Completely Spectacular. One Can Travel Here At Any Time Of The Year Except The Rainy Season As The Water Level Reaches Its Max. . Starting by bus from Uttarkashi in the morning vai Tehri, Srinagar Rudraprayag & Guptakashi reaching to Gaurikund after covering a distance of 229kms for going to Gauri kund night stay. Lansedowne - Tarkeshwar Mahadev Temple - Bhairav Garhi - Hanuman Garhi. Lansdowne is a cantonment town in Pauri Garhwal district in the Indian state Uttarakhand. Lansdowne is one of the quietest hill stations of India and is popular since Britishers came to India. Lansdowne is unlike other hill stations as it is well connected with motorable roads but remote in its own way. It is situated at an altitude of 1,700mts above sea level surrounded with thick oak and blue pine forests in the Pauri Garhwal district of Uttarakhand state. Lansdowne got its name from Lord Lansdowne, who was the then Viceroy of India during the period of 1888 - 1894. Presently .The salubrious weather and pristine environment of Lansdowne leaves an immortal impact on the tourists. It is the perfect place to meditate and rejuvenate your soul. Bhairon Garhi is a temple situated at Langur Reserved Forest near Kirtikhal on the Gumkhal - Silogi - Rishikesh Road, in Pauri Garhwal, Uttarakhand, India.Old age Bhairon Garhi temple situated at Langur Reserved Forest near Kirtikhal on Gumkhal - Silogi - Rishikesh Road, Pauri Garhwal, Uttarakhand. Bhairon Garhi is one of the oldest Siddh Peeth in this region. It’s approx. 15.3 k.m. from Lansdowne, the famous home for Garhwal Rifles of the Indian Army. It is believed years ago Bhairon temple was at Hanuman Garhi, also known as Langur Garhi. When Gorkha attacked Garhwal Lord Bhairav location was shifted to another hill now known as Bhairav Garhi. It is situated at approx. 9000 plus feet elevation. At Hanuman Garhi now-a-days Lord Hanuman deity is present. Hanuman Garhi and Bhairav Garhi are situated at a distance of 2 km approx..
Hanuman Garhi, a famous Hindu temple of Lord Hanuman, is situated to the south of Tallital, approximately 3.5 km away from the Nainital bus stop. The temple is perched at an altitude of 6,401 feet from the sea level. It was built by Neem Karoli Baba, a famous local saint, around 1950. The presiding deity of Hanuman Garhi is Hanuman, a devotee of Lord Rama, who is depicted in the image as opening his chest and revealing the images of Lord Ram and Sita Mata in his heart. Khirsu - Dhari Devi- Kandoliya Mahadev Pauri - Jwalpa Devi Temple. Located 19 kms. away from Pauri at an altitude of 1700 mts. Khirsu is a peaceful spot of Himalayas and free from pollution.Khirsu is a hidden dream within a dense forest of pine, Oak and Rhododendron (Buransh). Situated at a distance of 19 km from the Pauri town, Khirsu offers the widest outlook of the mighty himalayan peaks. on a clear day, you can count at least 300 known and unknown peaks from here, away from the hustle-bustle of city life. now crowed by the tourists , this pristine environment is ideal for a rebirth. So serene and noiseless that you can even hear the sounds of the cracking leaves, under your feet. Dhari Devi is an avatar of Kali, and is widely believed to be the guardian angel of Char Dham pilgrims Dhari Devi is a temple on the banks of the Alaknanda River in the Garhwal Region of Uttarakhand state, India The temple is located in Kalyasaur along the Srinagar -Badrinath Highway. It is about 15 km from Srinagar, Uttarakhand, 20 km from Rudraprayag and 360 km from Delhi. Kandoliya is a spectacular spot surrounded by dense forest. The temple of Kandoliya Devta is located here. One can have a panoramic view of the Himalayan peaks and Gangwarsyun valley. The main temples of the Pauri city are Kandoliya Devta, Laxmi Narayan, Kyunkaleshwar Mahadev and Hanuman mandir. Every year, a 'Bhandara' is organized in the premises of the Temple of the Kandoliya Devta and thousands of people from Pauri and near by villages participate in it. The city is blessed with a number of picnic spots surrounded by 'Deodar' forests and filled with natural beauty .Kandoliya Temple is dedicated to Kandoliya Devta, located on the Pauri - Lansdowne road amidst picturesque environs. Kandoliya Shiva temple is situated only 2km from the main Pauri town. There is a stadium on top of this mountain which is visited by numerous travelers every year because it is Asia's highest stadium. The enchanting views of the splendid Himalayan peaks and Gangwarsyun Valley can be seen from here. The temple premises is surrounded by a beautiful park and in summers Kandolia Park sees the happy sounds of the cheerful children playing and their families picnicking. Kandoliya is also famous for its sunset views. Situated at the panorama of the hills near the river, Jwalpa Devi temple has the peaceful environment in its premises. Devotees from far away place come here to pray Goddess Jwalpa. Legends believe that if pray with sacred heart, Goddess will fulfill all dreams of devotees. Kotdwara via Satpuli. Some small eateries and shops selling Prasad are also present at the temple. A traditional school is also running near the main temple. Holy marraiges are also conducted at the temple at no cost. On the occasion of Navratri and Janmashtami, a large fair is organise at Jwalpa Devi Temple. Rudraprayag - Chopta - Auli. Rudra Prayag is a small town that is located in the state of Uttarakhand and in the district of Rudraprayag. The town is situated at the confluence of the River Alaknanda and River Mandakini. It has a special religious significance for many people as well. It is said that the place where the two rivers meet resembles two sisters embracing each other and there is a unique beauty about the place. Many visitors travel to the place to witness this phenomenon every year. The entire area is surrounded by immense beauty and one can see many lakes, glaciers, rivers and streams here. There are a few temples that are located in the town as well and these are a must visit while travelling to Rudra Prayag. The main temples are the Jagdamaba Temple and the Shiva Temple. The town of Kedarnath which is an important pilgrimage center for many Hindus is located around 86 km from the town of Rudra Prayag and this can be visited as well. The Koteshwar Temple can be seen on the banks of the Alaknanda River and this is also a popular site in the town. Son Prayag and Okhimath are present outside the town and are important religious sites as well. This is Chopta tour guide, also find here tour packages , holiday packages and hotels in Chopta Chopta is a beautiful village in the Rudraprayag district of the state of Uttarakhand and is fast gaining popularity among the nature lovers and adventure enthusiasts because of its location and unspoilt surroundings. The place is famous for providing striking view to the snow clad mountain peaks of Himalaya along with lush green forest with flower trees and mountain grasslands. It offers perfect destination for trekking and camping around it. The famous Deoria Tal is also nearby so if you plan you can also cover it Chopta is very well connected and can be reached from any place in uttarakhand. People coming from outside uttarakhand will have to reach Haridwar/Rishikesh which are the nearest railway stations. Direct buses to Haridwar/Rishikesh are also available from Delhi as well as other major towns of North India. Form here you can book a private taxi to directly reach chopta via rudrapriyag and ukhimath or can take a bus upto rudrapriyag from where you can take shared taxi to chopta via ukhimath, the distance can be covered in 5 to 6 hours. You can also drive directly to chopta in your own vehicle/bike along the valley of Ganga/Bhagirathi which is a delight as you can stop at many scenic places in between to catch a snap. .
Auli is the most popular hill stations in Uttarakhand. It is in the high peaks of Garhwal Himalayas. It is like a paradise for the skiers in India. 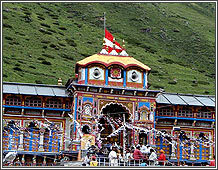 The beautiful town is situated near the sacred shrine of Badrinath. It is located at an altitude of 9000 ft above the sea level. This is the best destination in the ranges of Himalayas for the adventure lovers. 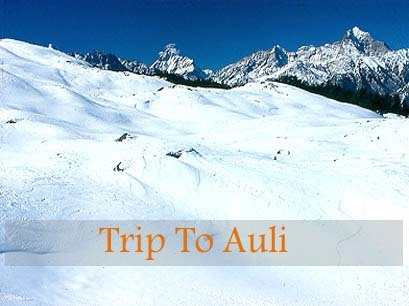 Auli is a sking destination of India located in Uttarakhand. Generally from December end to March is best season for skiing lovers. Here skiing participant find best slop for skiing in Asia. The beauty of Auli makes it traction of tourist only only in winter but summer also. In the summer season Auli is surrounded by green bugyal. Trekking lover take route from here for Kauri Pass Trek.Maa Nanda Devi Peak bless Auli by its beautiful shine. 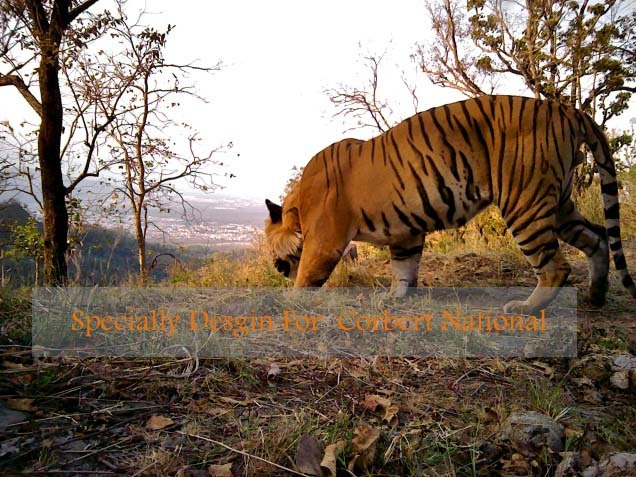 We organizes and offers day trip, including jungle jeep safari, to Corbett National Park. The distance between Lanscastle and Corbett National Park, through Vatan Vasa entry gate, is 36Km, though the Corbett Tiger Reserve area starts as early at a distance of 18 Kms only. One would enjoy the mix of paved and off road drive through the jungle. Each safari jeep is accompanied by a guide to help you enjoy the flora and fauna of the forest to the max. The duration of trip within the jungle is about four hours. The day trip starts at 9:30 AM and concludes at about 5:30 PM at the hotel. Guests should take the breakfast at the hotel and then can have a small halt at Forest department's guest house at Halduapav via Vatan Vasa gate. Visitors are suggested to wear natural colour clothing and obey the forest rules. Guides play a vital role in leading the ways in the jungle and spotting animals even when on the move. Please do not get off the jeeps during the safari as it could be dangerous for both humans as well as the animals. Ultimately the jungle is a home of animals and we need to avoid any disturbance caused from our actions. Kotdwar- Massoorie - Syanachatti - Uttarkashi - Gangotri - Sitapur - Kedarnath Badrinath - Srinagar - Haridwar or Kotdwar. Kotdwarby bus covering distance of 78 kms. Local Sight- Seeing : Company Garden, Camelback Road, Rope way on foot & Night Stay in syanachatti. syanachatti to hanuman chatti then yamnotri distance 13km after that by foot. night stay in Syanachatti. According to the legend ancient, sage Asit Muni had his hermitage here. All his life, he bathed daily both in the Ganges and the Yamuna. Unable to go to Gangotri during his old age, a stream of the Ganges appeared opposite Yamunotri for him. The temple and the place opens every year on the auspicious day of the Akshaya Tritya, which generally falls during the last week of April, or the first week of May. The temple always closes on the sacred day of Diwali in mid-October - first week of November, with a brief ceremony. The temple staff return to their villages and for the rest of the time the valley is gripped in no-man silence and covered with a white sheet of snow. With the melting of the snow next summer, the temple re-opens. The daughter of the Sun god, Surya and consciousness, Sangya the birthplace of the Yamuna is the Champasar Glacier (4,421 m) just below the Banderpoonch Mountain. The mountain adjacent to the river source is dedicated to her father, and is called Kalind Parvat, Kalind being another name of Surya. Yamuna is known for her frivolousness, a trait that she developed because, according to a common story, Yamuna's mother could never make eye contact with her dazzling husband. From Gaurikund on ecan reach kedarnath (14 km trek ) after visiting on way Ramvada 7km & Garudchatti 4 km. This distance is to be covered either by walk or horse / doli at one's own cost. It is said that in the ancient times pandavas after killing Kuravas in the Kurushetra war they had gone to Uttarakhand from Kashi for a pilgrimage fro reputance & there after Load Shiva gave them Darshan Pandava constructed this glorious temple. Which is Kedareshwar. This is one of the 12 Jyotirlings of the country. Just about one kms, away from the temple Bhairav Gufa can be reached by walking. 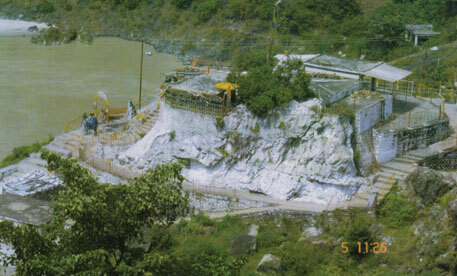 There is confluence of 5 rivers with Mandakini at kedarnath. Night Stay. After darshan at Kedarnath coming back to Rampur / Sitapur for night Stay. From Gaurikund to Badrinath at a distance of 243 km via Guptakashi, Rudraprayag, Pipalkoti & Joshimath. This ancient pilgrims place is on the bank of Alaknanda river surrounded by snow clad mountains of Himalayan & as such it is known as a 'Readies on Earth'. It is sais that adi Gurushankracharya found the idol of God Badrinath from the Naradkund & set up the temple of Shri Badri Vishal. Pilgrims after having a bath in the Tapo kund have the darshan of Badrivishal. Brahamakapal is significant sight seeing spot like Mana. Vyas Gufa Maatamoori charapaduka, Bhimkund & the Mukh of Saraswati river. Just within the three kms. Of Badrinathjee night stay. From Badrinath to Joshimath by bus. Auli the longest ropeway in asia (at individual cost) & deperture via, Pipalkoti, Rudraprayag to Shrinagar covering a distance of 193 kms & night Stay. The Ganga leaves the mountains and enters the plains at Haridwar, becoming very quite and calm. It is said that taking bath here purifies the soul and opens the way for the ultimate freedom, the Nirvana. 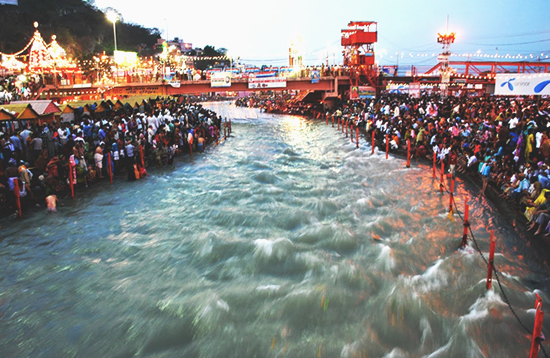 Haridwar has come up as a major learning center for arts, science and culture. This place has maintained the Gurukul traditions of teaching. Haridwar has since ages been a source of Ayurvedic medicines and has been providing herbal remedies. One of the first towns to be developed on Ganges, Haridwar is still lush and green with forest and trees. With Rajaji park in the vicinity Haridwar has also been the destination for the wildlife and nature lovers. The city acquires a unique charm in the evening when the ghats become breath takingly beautiful with thousands of Diyas and Marigold floating in the waters of Ganges. By Air : The city of Haridwar does not have an airport and the nearest air link is provided by Jolly Grant (45 km) of Kotdwar. 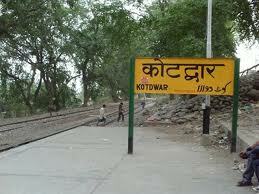 From Kotdwar, one can take a train / bus or hire a taxi to reach Haridwar. If coming from any city outside India, it will be better to take a flight to Delhi (200 km) and then reach Haridwar by train or bus. By Rail : Reaching Haridwar by train is another good option, since the journey is not only comfortable, by also proves to be very economical. Haridwar has its own railway station, with trains connecting it with major cities like Mumbai, Delhi, Kotdwar, and Rishikesh, besides others. Trains like Shatabdi Express, Jan Shatabdi Express, Ujjaini Express, Mussoorie Express and Doon Express regularly ply between Delhi and Haridwar. By Road : By road, Haridwar is well connected with major destinations of the region. While NH 58 connects Haridwar with the country's capital - Delhi, NH 72 connects it with Uttarakhand state's capital - Kotdwar. There is also good road connectivity between Haridwar and Rishikesh (25 km). Rishikesh is a small town in the northern state of Uttarakhand in India. Scenically located where the Ganges River comes down from the Himalayas, Rishikesh catapulted to Western fame when the Beatles dropped by for a visit to Maharishi Mahesh Yogi's ashram (now closed), and the town is still known as the world capital of yoga. Rishikesh is also the Gateway to the Himalayas in the Tehri-Garhwal region of Uttar Pradesh. 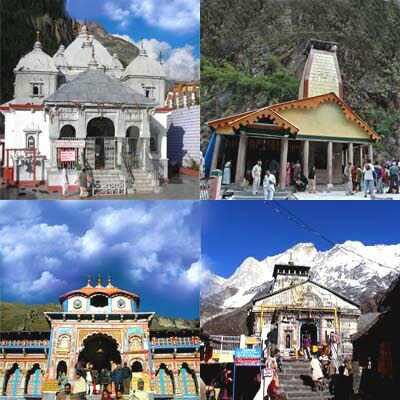 The Char Dham Yatra (Four Shrines Sacred Journey) ideally begins from Rishikesh. The spectacle of the Ganga rushing through the Himalayan foothills is an awesome sight. 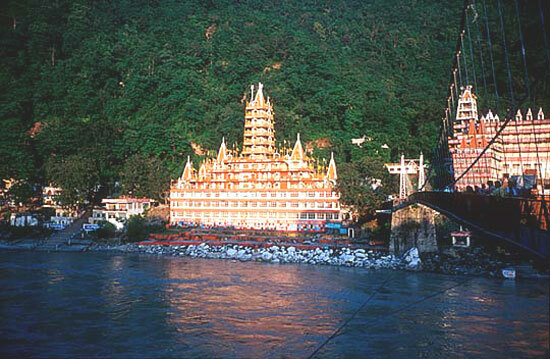 Several temples dot the banks of the Ganga at Rishikesh. Lakshman Jhula : The hanging bridge across Ganga. About 5 kms upstream is the old footbridge called Lakshmanjhula, named after the brother of Lord Rama. Temples line both sides of the river at Lakshmanjhula. Rishikund : Close to Trivenighat is the most anciant place, the rishikund. Anciant records relate this to Kubz Saint , who was blessed by the Goddess Yamuna by saturating this pond by its water.The pond reflects the temple of Ragunath , deicated to lord rama and his wife. Narendra Nagar : Just 15 kilometres on the Rishikesh-Chamba road is the historical town of Narendra Nagar. This is a town of archaeological importance, built by the King of Tehri, Narendra Singh. The royal palace here is worth seeing as is the magnificent statue of Lord Shiva's attendant, the Nandi bull that stands here. By Air : The nearest airport is Kotdwar(Jolly Grant), 35 kms from Haridwar. Vayudoot Servicess operates from Delhi to Kotdwar(Jolly Grant). Jagson Airlines also operates flights from Delhi to Kotdwar. By Rail : Rishikesh is connected by rail via Haridwar (24 kms), to Howrah, Bombay, Delhi, Lucknow, Varanasi, Kotdwarand other cities. By Road :By road Rishikesh to Haridwar 24 kms, Kotdwar47 kms, Mussoorie 77 kms, Badrinath 301 kms (Son Prayag), Kedarnath 228 kms, Gangotri 258 kms, Yamunotri 288 kms (Hanuman Chatti), Srinagar 105 kms, Joshimath 252 kms. By Bus :Haridwar is connected by bus with Agra, Chandigarh, Kotdwar, Kullu, Manli, Shimla, Rishikesh etc. 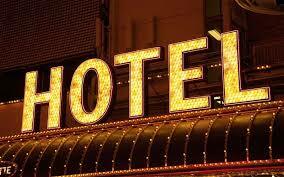 Sachin Tour and Travels Give you the best price hotel. Get Affordable Stays Any Time Any Where In Uttarakhand.